Happy Monday, Angels! 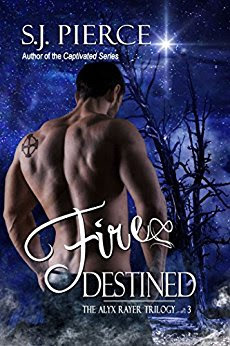 In case you haven’t heard, my amazing publisher, Foundations, LLC, has released Fire Destined, the third and FINAL book of the Alyx Rayer Trilogy, and today’s the big day! Please see below for links to purchase your shiny new copies. In this final installment of the Alyx Rayer Chronicles, follow Alyx and Micah as they travel back to the hell that once was Earth in search of Serpious and his legion, as well as the only thing they have left to care about now – revenge.